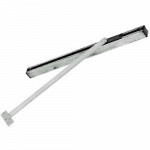 CR552H Cal-Royal Surface Overhead Door Stop with Hold Open, Size 2 (23 1/6” - 27”) Finishes:..
CR553H Cal-Royal Surface Overhead Door Stop with Hold Open, Size 3 (27 1/6” - 33”) Finishes:..
CR554H Cal-Royal Surface Overhead Door Stop with Hold Open, Size 4 (33 1/6” - 39”) Finishes:..
CR555H Cal-Royal Surface Overhead Door Stop with Hold Open, Size 5 (39 1/6” - 45”) Finishes:..
Rixson 1-326 Concealed Heavy Duty Hold Open Checkmate Holder. 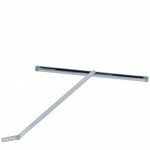 Checkmate® overhead stops and ho..
Rixson 9-326 Surface Heavy Duty Hold Open Checkmate Holder. 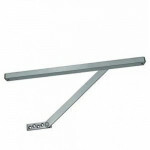 Checkmate® overhead stops and hold.. 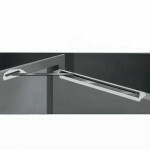 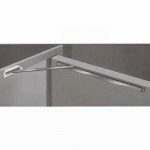 The Sargent 1538F is a Concealed Mount, Friction Holder Overhead Door Holder for interior medium tra.. 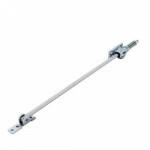 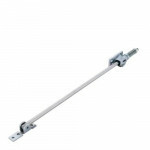 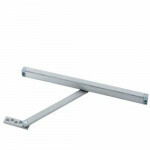 The Sargent 1538H is a Concealed Mount, Non-Friction Holder w/Stop Overhead Door Holder & Stop f.. 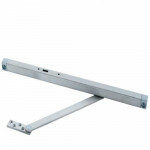 The Sargent 1548H is a Surface Mount, Non-Friction Holder w/Stop Overhead Door Holder & Stop for..
454H Glynn Johnson Medium Duty Overhead Door Holder, Surface Mount Glynn-Johnson 450 series hold..
106H Glynn Johnson Heavy Duty Door Stop, w/Hold-Open, Overhead, Concealed Hold-Open function sho..
453H Glynn Johnson Medium Duty Overhead Door Holder, Surface Mount Glynn-Johnson 450 series hold..
906H Glynn Johnson Heavy Duty Door Stop, w/Hold-Open, Overhead - Surface Mount Hold-Open models ..
413H Glynn Johnson Medium Duty Overhead Door Stop, w/Automatic Hold-Open Automatic Hold-Open mec..
904H Glynn Johnson Heavy Duty Door Stop, w/Hold-Open, Overhead - Surface Mount Hold-Open models ..
104H Glynn Johnson Heavy Duty Door Stop, w/Hold-Open, Overhead, Concealed Hold-Open function sho..
453F Glynn Johnson Medium Duty Overhead Door Holder, Surface Mount, Friction Hold-Open Friction ..
704H Glynn Johnson Heavy Duty Door Stop, w/Hold-Open. 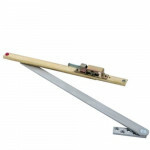 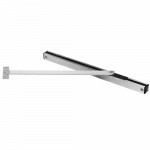 Hold-Open models provide a selective Hold-..
905H Glynn Johnson Heavy Duty Door Stop, w/Hold-Open, Overhead - Surface Mount Hold-Open models ..
Glynn-Johnson 70 Series Hold-Open Heavy Duty Door Holder is for single acting doors – interior and e..